Today our club lost a good friend. Alan Edwards passed away Friday April 20 after a long battle with cancer. He was born in Liverpool, England and came to Welland via St Catharines. He was a die-hard Everton Supporter, but supported Canadian soccer with a passion. 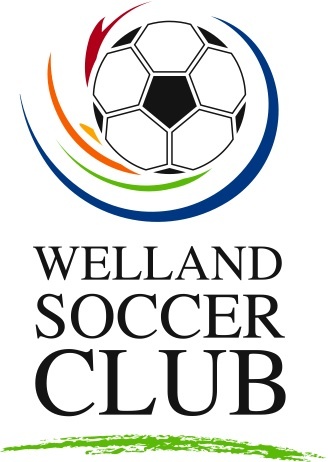 Al served the Welland Soccer Club as a coach, board member, convenor, and through various committees for many years. He preached the simple message of fair-play, enjoyment for all and the free and unobstructed sharing of information. He had a positive effect on many of my friends and me. He was always very encouraging towards anybody's efforts when it came to soccer. His family, friends, former players and students will miss him. The St Michael's High School annual tournament was held today. I was able to see 2 games when I wasn't in class. This morning I wasn't sure what to expect for their first game. Honestly, I didn't think they were ready to play from what i have seen so far. At the end of the day the team had lost their three matches 0-1, 0-2 and 0-1 BUT they didn't look lost on the field and they have a place to work forward from. Some of the boys are hard-nosed competitors and any coach loves to see that. They had chances, challenged for most balls and have a solid GK to back them up. It would have been nice to see their spirits pumped up with a goal, but it was not to be. It's an exciting time because the team has moved from the preparation stage to competition. A few more sessions would have been good, but we'll see what the change in scenery brings to the program. Coaches Lucchetta and Luppino want to fix up their shape a bit on Monday because they play again Tuesday. I wish there was more time, but that's high school soccer. Tonight we had another fitness and agility session with the combined 5 teams, U10-U13 boys. We had 61 players in total. We didn't change it much from last week. We ran a 30-minute combined run and exercise segment then 30 minutes with a ball doing turns and dribbling on the tennis courts. The energy with the combined teams continues to be there and the boys are responding positively to the program. That is the most rewarding part of this whole thing. The coaches of the five teams have great chemistry and the parents who are helping seem like they are excited to be there. We will make a few tweaks for next week to keep it fresh, but I wanted to give this format 3 weeks like we gave the other format from weeks 1-3. Two of my observations are that many of the boys are running better and their footwork has improved during the ball skills portion. So we are seeing improvement and that is a major goal of any program. One of my hopes is that we can still reconvene on occasion once the season starts. We will have to co-ordinate that between all of our schedules. Another hope is that the other coaches take the turns we do and work on those. Overall, I think the organization worked and we were able to flow from the track to the tennis courts and from sequence to sequence. There is a difficulty with coaching position. There are so many players and if I get to one side to address them all, the other side is a fair distance when it's windy AND it's difficult to get 60 young players to stay quiet all at once. I will have to think this over. And during the run I use a whistle and the coaches walk the track opposite the running to cheer the players on. There is a safety concern. We do have to take some time and cut some stray branches away from the base of the fence around the court and refasten the fence to the bottom guide wire. There are portions where the fence sticks out. It's not in our immediate area, but it's there and the coaches would be sick if somebody were to be injured. This can be a job for some parents while the kids run. Tonight we had a session at the tennis courts again. We had 13 players out, with one in final prep for his Ontario Basketball Association play down. We need to get on the grass because we are cheating our keeper of GK directed activities. But he needs to work on his ball skills like everybody else, so it's not lost time. I also feel like it's time to break out into more open space. The work has been fun and somewhat productive, but it's going to hit the point where the kids want on the grass. So, we worked more on skills to aid our team in possession. We then progress to a turning and passing that we occasionally do. We spent a little more time focusing on the right turn with the right foot at the right time. Some players still turn with the wrong foot, leaving the ball exposed to the defender. They were OK with it and willing to work at doing it properly. That's all we ask for. Then we split the group. The kids did fairly well at it. Some are still a little slow getting the ball out from their feet and back into play. The explanation is consistent ... they are forced to rush and fiddle with the incoming ball because they are not creating enough space for themselves to give allow more time when they have the ball. The story is the same ... get the shape right and everything falls into place. That's the coach's job to fix. Coach Paul was running his exercise during all this. When the boys were all back together we play 8v7 including the coaches. I played long enough to help the boys set the tone. Coach Paul stayed in so it was 7v7. Our main goal during this game was to see what the boys were doing when they had no play forward. We worked on our overall shape, shape around the ball, how we were receiving the ball and quick movement. By the end of the night it was resembling some pretty good soccer and decisions were getting better and better. Having Coach Paul there and practicing working the ball across the field really showed during the game portion. The players playing wide were quick to turn, move it back and the team worked the ball around to the other side. The technique was improved, but more importantly the "when and why" of the sequence is what they showed a better understanding for. I had a good feeling after the session as it flowed smoothly and the boys seemed to enjoy themselves. The only part of my plan I did not get to was 1v1 play during our warm-up portion. I dropped it because I felt it would change the flow of the practice after we were started. In hindsight, I wonder how my desire to minimize cost and avoid renting indoor facilities might be hurting our sessions. The work rate has been good and we've had a lot of touches, but we lack the space that would allow us to work on more game realistic situations. Coach Paul was out tonight and it's great to hear his viewpoint. I think he thought I was frustrated (I was a little, but more with the conditions) and he had a fresh outlook. He's good for me. he felt he understood more of what was happening on the field when he was involved in the phase-of-play portion and had more to contribute afterwards. It's great to have his eyes there. I always have an assistant who can give me an honest tap on the shoulder and a good attitude adjustment. Today we had our first full field session. We shared the field with our club's U14 girls team. To say the conditions were windy is an understatement. Balls were rolling down field past the one net all evening. The field is artificial turf so the wind was a big factor. We started the session by doing a phase-of-play portion in our half of the field. We play an attacking 4-3-3 so I set up a team defending the net with a GK, 4 defenders and 3 midfielders. The attacking team had 3 forwards, 2 midfielders and coach Paul and I supporting from behind. Our goal for the phase of play was to organize our back 4 with GK. We worked on their shape when they had the ball and working with the supporting defensive midfielder. This was also going to be the focus of our team during the 11v11 portion. The session went OK. The wind made it difficult to speak and we needed more players to make it more effective. I could have made it a small area and only use a slice of the field, but it was our first time out and we wanted everybody moving. back 4 moving up as ball was played out. The shape was the biggest thing for me. once we get that in place other things will fall into place or at least have a better chance of succeeding. When we got to 11v11, I still focused on the back 4 and the defensive midfielder. From playing indoor for a long while, that field was BIG. Coach Eric was also working with his team. We were gently setting the shape as the play went. Because it was our first time out and there was another team to consider, we did not stop the play. The wind affected the session in terms of ball movement but it did force them to put more zip in their passes and keep the ball on the ground. If I were to run an 11v11 session with just our boys and some guests, I would stop it more, make more adjustments where necessary and continue. The way it was set up tonight, I was happy with what we walked away with. The kids are back outside and looking forward to playing. It was also a bit of a physical shock for them on the big field again, especially against the wind. The boys did OK and I was not unhappy with them. I could not expect more since it was their first time back, but I did ask for more. We tried a few boys in new spots and will hold with that plan giving everybody a chance to succeed before passing judgment. While playing, there were a few times when our back 4 pinned themselves in too far back trying to work the ball around, but that will be fixed once we correct the shape around the ball when the wide defenders are in possession. Slowly we will work our way up the field with our shape. One thing was for sure: we need to continue working on 1v1 play, on both sides of the ball. The boys have been working very hard to this point and I am excited to see what the finished product will look like when the season opens. I wasn't happy with the time slot that we had (5:30-7:00) because it was 30 minutes from Welland and caused some stress for some people to get there. But grass fields open May 15 and we only have 2 outdoor turf fields for our entire region. This week we train on the courts again then fitness/agility on Thursday. Tonight with the U17 boys we worked on decisions in possession, dealing with the main question "Can I go forward? Yes/No? We only had 10 players tonight. There was a time switch in our allotted field time and that may have affected attendance. We started with a warm-up from the last session. After a run and stretch led by a player, the boys played 2 small 3v2 keep-away and a larger 5v5 keep-away. I didn't coach this too much. I had more to say later and didn't want to wear out my welcome too early. There were points mentioned while they were playing, but no stopping and explanations. Quick pass, played in front of receiver so he can move toward it and get forward to do his turn. Surprisingly enough, learning different turns are new to a lot of players. You can't ever practice turns enough and it always has to be done quickly and combined with a pass to keep it real. We then moved to an exercise where we had 2 teams of 5 and made a playing area approx 40x30, with a half-way line. Each team had 3 players in their defensive half and 2 in the attacking half. The goal was to play a forward ball into the attacking half and the passer joins the attack. So the targets were outnumbered then a successful ball is followed by the passer made it even strength. The goal of this was to decide whether there was a forward play or not. The uneven numbers in the attacking half forced the decision more often. If there was an option, make the play. If there wasn't, then what? That's where the decision comes in and that's what separates a lot of players from the rest of the pack. The individual's ability to turn and keep the ball when there is no forward option and the team's ability to support is the key to your team keeping possession when there is no forward option. Most of the time was spent working on the team's shape to make success possible. Some players were getting into position then drifting towards the ball out of impatience. They were starting to achieve success one at a time and we will keep working on it. Pass quality (especially speed of the ball) is an issue and at U17 a poor pass could get somebody hurt. Ask the question ... do I have a forward option? Next action? Patience, if it takes 5 passes before a ball can go forward, that's OK. It's better than giving it away. Support position of players ahead and behind the ball. The session went well and the players got a lot of quality soccer in. The overall lack of players eliminated our ability to have a full game at the end, but we improvised with a small field and smaller nets and we had a good level of intensity. Some players were not overly energetic during the turn and pass exercise and I need to think about whether they were feeling they weren't successful at it. I did a little too much commanding tonight with my coaching. Next time we do this it will not be new, so I can let the players answer questions, leading them to the solution. The session moved easily and we were able to organize the floor quickly from exercise to exercise, so I was happy with that. One thing that came to mind was that the session was from 5:00-6:30 and some boys haven't eaten since lunch time. We need to remind them to eat something small before coming. Tomorrow my U13s are 5:30-7:00 in St Catharines and I sent a reminder email to eat something small before coming.